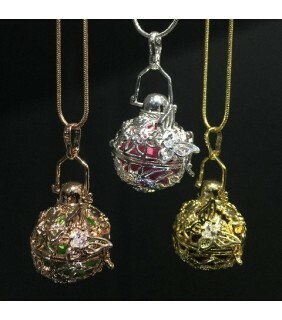 Harmony Necklaces contain small chimes within the ball which emit a soothing, relaxing chime to the wearer. 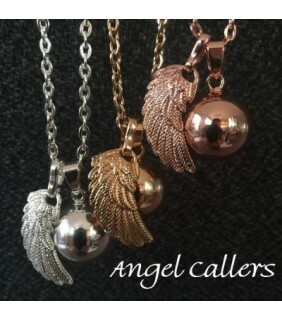 They are also called Angel Callers, or Pregnancy Bola Balls. In some cultures pregnant women wear these necklaces as the chimes are said to sooth the unborn baby as they can hear while in the womb. 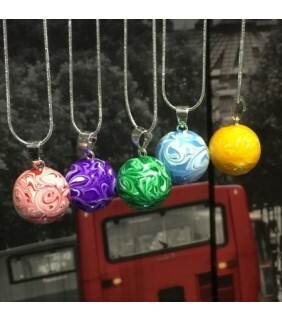 They are also a stunning piece of Jewellery to anyone to wear to relax the mind and body.